From December 26th to January 2nd, ride on our Christmas Holiday Trains and steam away those winter blues... There's no need to book for our Christmas Holiday Trains - just turn up and pay at any of our station Booking Offices. It's full steam ahead at the Great Central Railway - Every day over the Christmas holiday period we're running some of the gems of our locomotive fleet on a busy train service. Our normal fares and Friends of the Great Central Main Line discounts apply. We have two locomotives in steam on our Christmas Holiday Trains. Stanier Class 5 45305 "Alderman A.E. 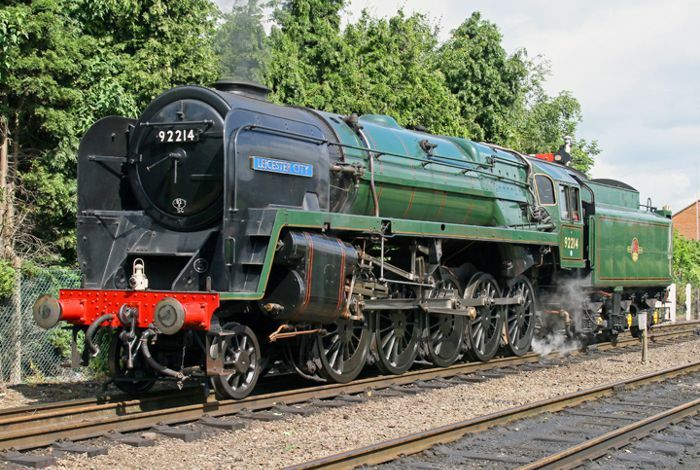 Draper", and BR Standard Class 9F 92214 "Leicester City" are due to be in service on 1st and 2nd January 2019. Stanier Class 5 45305 "Alderman A.E. Draper"
(Fares applicable until close of business on 2nd January 2018). Tickets are available on the day from our station Booking Offices. Please note that standard or special fares and other terms/ conditions apply on special event and gala days which are marked in yellow on the timetable, or other dates as advertised. 1. Day returns to Leicester at £15 adults (no senior concession) and children £8 are available after 2.30 pm. These tickets can be used as runabouts, without restriction. 2. Registered disabled visitors are charged at the concessionary senior fare; an accompanying registered carer is offered a free complimentary fare. 4. The above fares structure may be suspended for special events. 5. Children's fares apply to those aged between 5-15; children under age 5 travel free (except at certain special events). 7. Senior fares apply to visitors who are age 65 or over and are available on day runabout tickets where shown. 8. Dogs, cycles and large items of luggage are a flat fare of £2. 9. Students (on production of a valid NUS card) may claim any concessionary fare applicable to seniors. 10. For visitors with Heritage Railway Association passes, Privilege rate fares apply as per Note 3. above (on production of a valid membership card); this concession will NOT apply for certain special event days. 11. 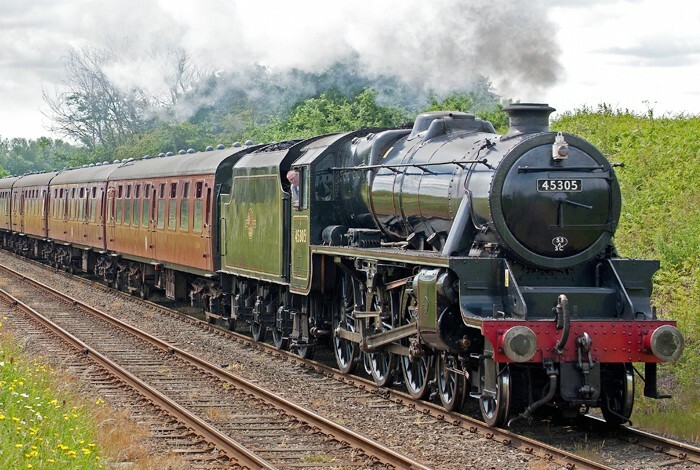 Our standard adult runabout fare (valid on all advertised services with standard class accommodation, except reservation only services (including Santa trains)) is £40 - this is valid for use on one day only during the 31 days from date of issue.